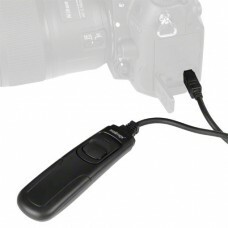 Extremely compact wireless remote trigger for DSLR cameras. With the Pro Coworker II by Aputure you can wirelessly trigger your camera from a distance of up to 100 meters. You can select from 100 channels, ideal when working with several cameras. 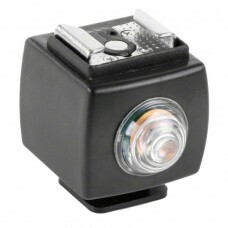 The Coworker II is an extremely compact and lightweight wireless remote trigger. 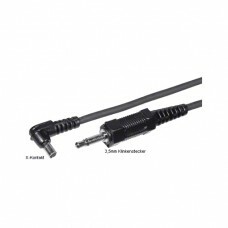 It fits into every camera bag and is therefore an ideal addition for your everyday equipment. With the trigger, you can do single shots, continuous shots and long-term exposures. Additional it comes with a timer function. The display shows you the time of day as well as information about your selected settings. slave prožilo ima občutljiv svetlobni senzor, ki ga preprosto aktiviramo z master bliskavicobrez dod..
Wireless remote trigger range up to 100 meters4V1 radio remote control: for flash, studio flash, Can..
Za povezavo studijske luči z bliskavico fotoaparata oz. adapterja z 3,5mm priključkom in X kontaktom..
GPS sprejemnik za DSLR fotoaparatedodaja zemljepisno širino, dolžino, višino, UTC čas (univerz..
Wireless remote trigger range up to 100 meters4V1 radio remote control: for flash, studio flash, Nik..